Elkagorasa the Casual: May Update (Kara's End, Questing and Mythic + dungeons). May Update (Kara's End, Questing and Mythic + dungeons). We've completed Karazhan, multiple times over now. Last week, we managed to work on killing the 40 spiders for Clearing out the Cobwebs (while helping our pugged DPS get the shard in Servant's quarters) for one player and I picked up Little Red's cape. Sadly, with Karazhan completed, I can see the end coming very soon. Our healer is getting harder and harder to keep engaged. He's way behind on the achievements required for flying. Since 7.2, he's having a harder time surviving during fights in both healer and tank spec (monk), so behind the curve on gear. Finally, he hasn't completed the Suramar quest chain, so Arcway is still locked out for him. I've achieved flight! With that I bought my first WoW token as I saw the Vial of the Sands on sale for 98k gold (i.e. 2,000g less than I sold token for). I was a little frustrated by the token sale. I bet this is due to the changes in tokens, but it seemed overly complicated. 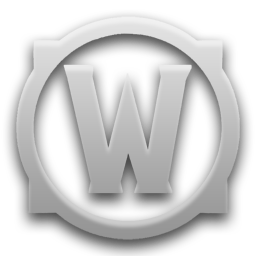 Go to WoW store in-game, buy token using registered bank info. Wait for funds to clear, and Blizzard to approve purchase. Token will arrive in your in-game mailbox. Post token on in-game auction house at fixed rate and wait for someone to buy it. (could take 8-12 hours). Check mail regularly until token sells and hope that the mount is still there. I bought the token on Sunday and I was able to purchase the mount on Tuesday. Definitely not the instant gratification that I was hoping for. Happily, I was able over the weekend to use it twice. Once to fly around the healer above, and second (out of novelty) to fly around our mage who has already earned his legion wings. Currently working through two rather long quest chains (neither on Broken shores).I am a little over half-way through the Suramar Insurrection quest chain. Next step is to venture to Crimson Thicket and help Valtrois. At the same time, I have made major steps forward on my Balance of Power quest chain. Currently up to 'step 16: Presentation is Key'. If I time it right, I'll be running Nighthold for both quests at the same time. We parked entire group here during fight. In addition, I have only 4 mythic+ dungeons left for [Broken Isles Keymaster]. One of those I'd been avoiding was Vault of Wardens due to the second boss fight (Inquisitor Tormentorum). Last night, while working on artifact appearance quest, I was introduced to a cool trick. Once you engage the boss, run into one of the corner outlets with your back facing the door. He'll run off open a prison, then return to your party. The eyes will all be directly in front of you, always. IIRC, we parked in the doorway to Tormentorum's right. Worst case, picking the wrong side, as soon as you kill the boss, adds spawn immediately on top of your party. Speaking of mythic plus dungeon changes Blizzard is suggesting, I don't think they really understand or maybe their not being clear. Blizz is proposing 1) get rid of depletion mechanic 2) reducing the number of loot boxes at end to always be one box. TL;DR If players can easily stomp through, their over geared, (i.e. not going to get an upgrade from the dungeon) hence only in it for artifact power and will keep running the same mythic+ dungeons they are over geared for. 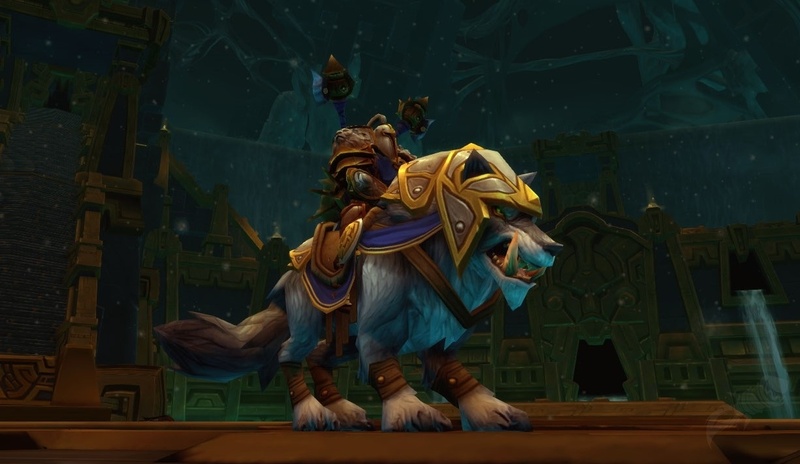 Players that are undergeared and need upgrades will no longer come to Mythic+ dungeons for upgrades, going for more reliable drops in normal pug raids. Blizz, here's my situation. I am a casual player, often running with anywhere from 1 to 4 pugged slots. We're not voice chatting to plan fights. We're not even in the same guid, or realm. I am using that handy group finder tool to even get in a group. If I was running in a guild group, I'd be more open to taking the chance with a much higher level group. In the meantime. my plan each week is to run, one, maybe two mythic plus dungeons and get some gear upgrades (until I feel more comfortable). I KNOW, I should be running a higher Mythic+ level with my prot paladin (ilevel 884) but I am a little nervous tanking an unforgiving pug. Checking WoWhead's guide, I really should be running Mythic+6/7 to possibly get a replacement trinket upgrade. This means running a complex dungeon, with a pug and affix. Removing the depletion penalty makes wiping forgivable. Players might be more likely to experiment with someone else's high level key, in order to get that needed BIS upgrade. Decreasing the gear drops makes the likelihood that I'll ever surpass a 900 ilevel highly unlikely (without raiding). This is sort of like the proving grounds of Draenor, I won't do dungeons, instead opting for looking for spots in Normal raid groups that don't need AOTC.